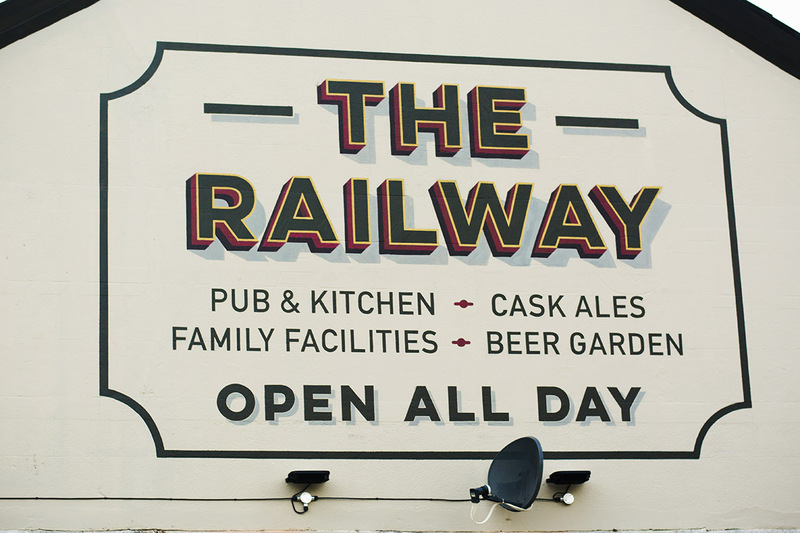 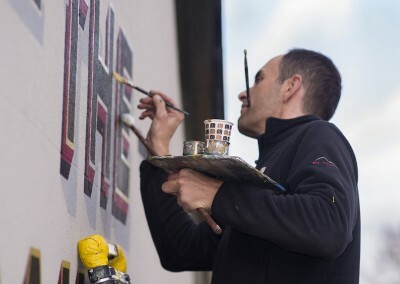 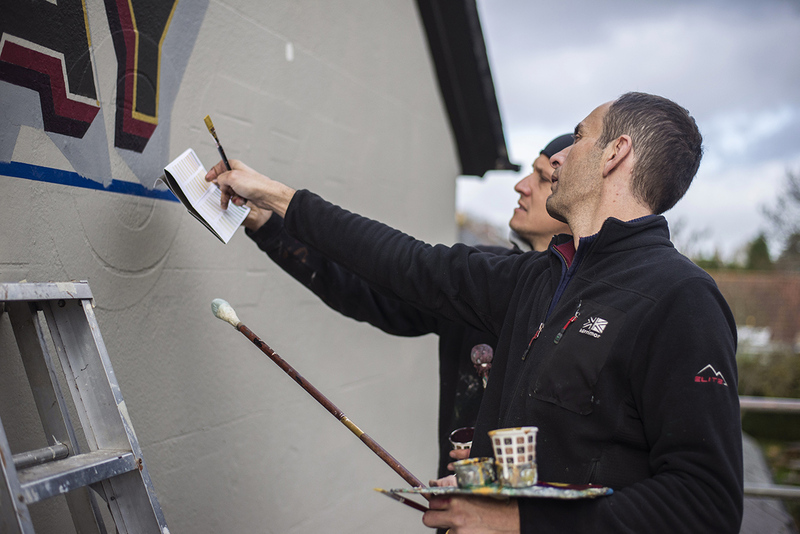 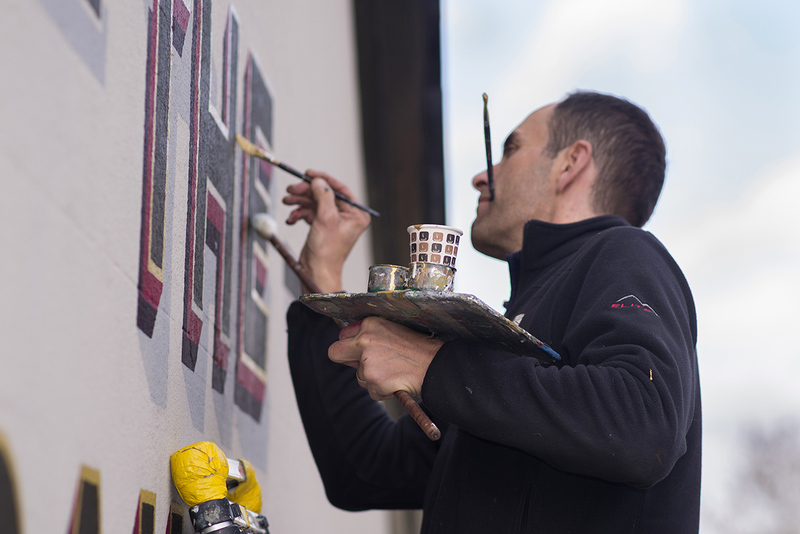 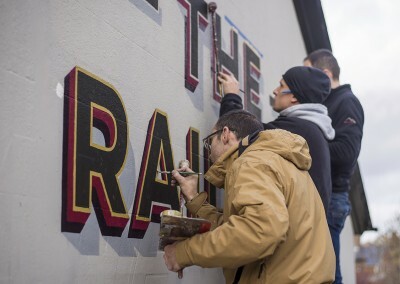 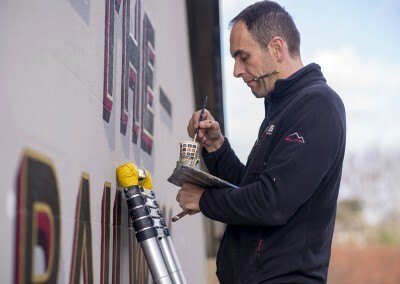 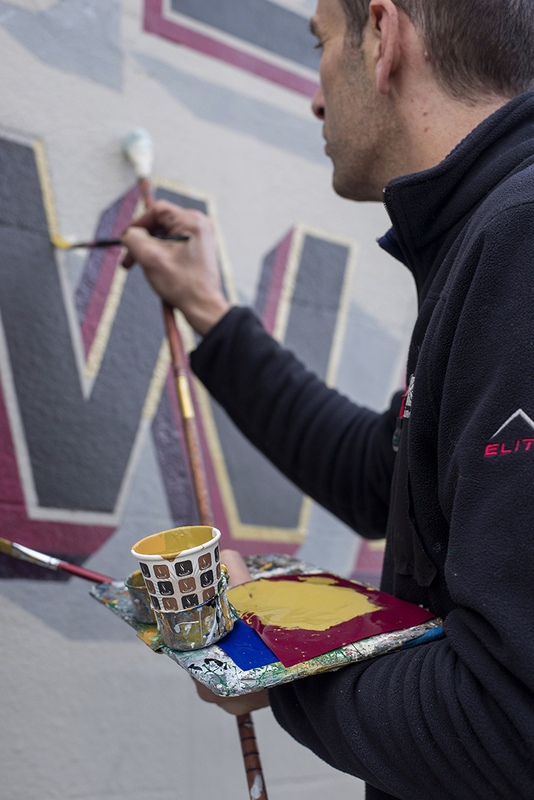 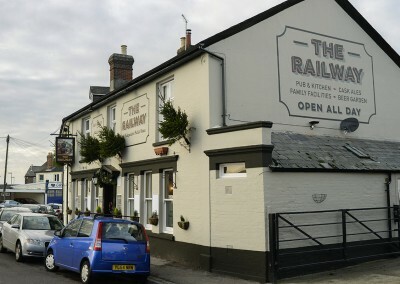 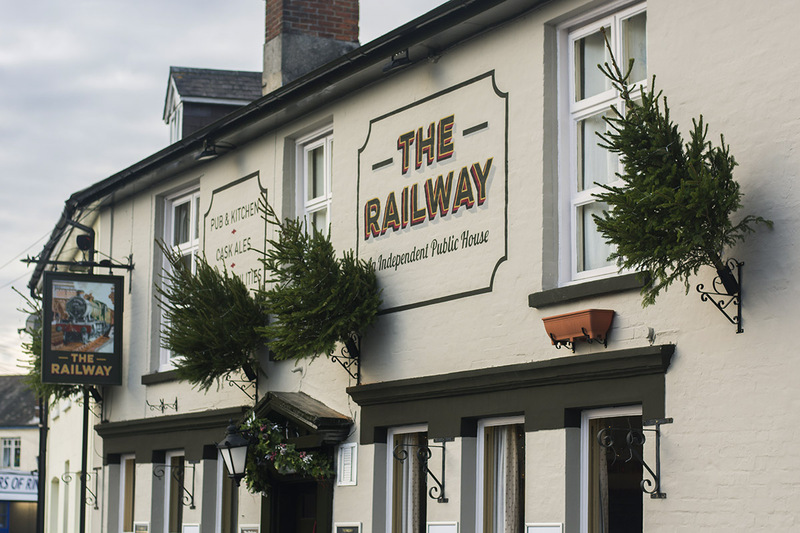 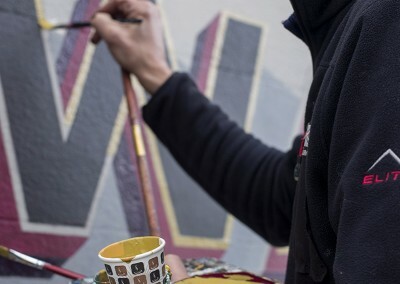 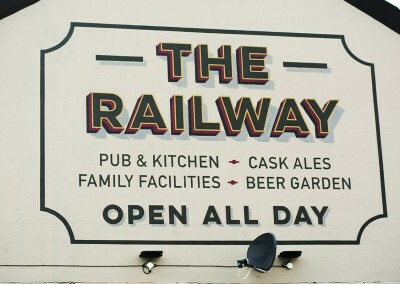 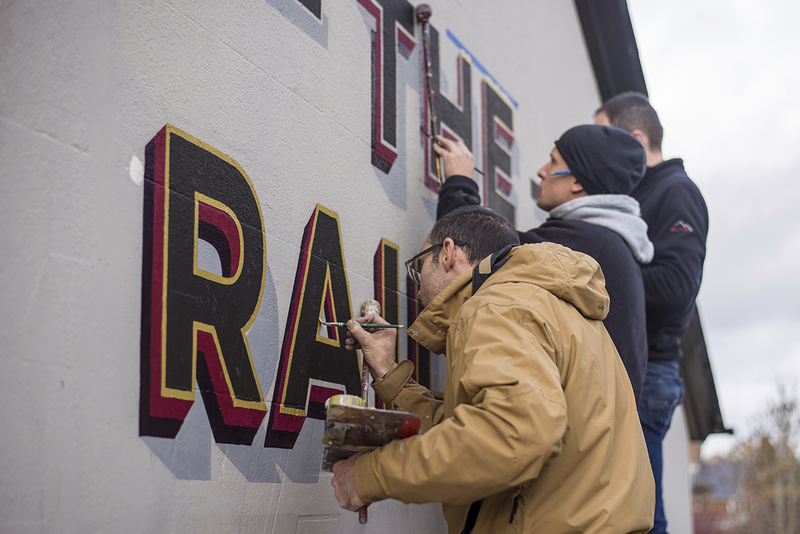 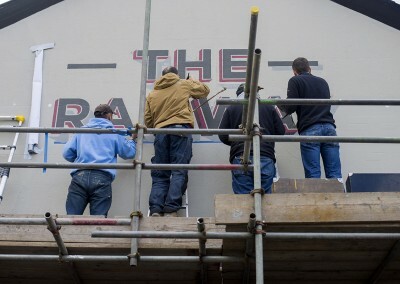 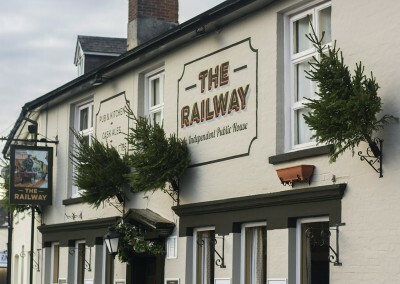 Signwriting directly onto the recently repainted exterior walls at the Railway Pub in Ringwood, Hampshire. 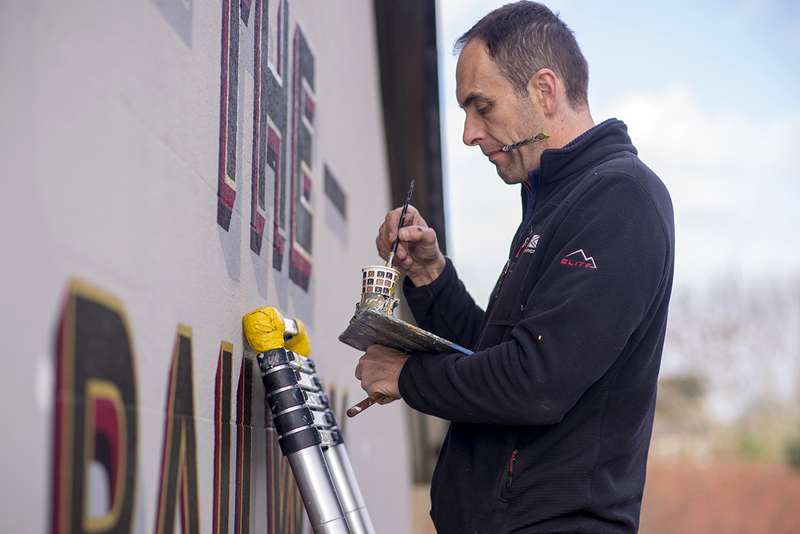 From very well designed artwork, we produced full size pounce patterns (the gable end sign measures around 4 metres x 2.6 metres). The outline and split and cast shadows made it a time consuming, but worthwhile project, resulting in the traditional look that was required.